You are here: Home / What is a Sabbatical? In preparation for Rev. 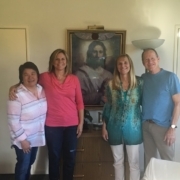 Carolyne’s sabbatical from June 5 to September 5 we wanted to share with you some information on what a sabbatical is and how it can enhance both the minister and the congregation. 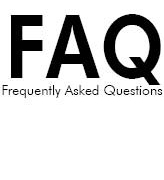 There will be more information in the months to come on our plan for this new experience in our church. 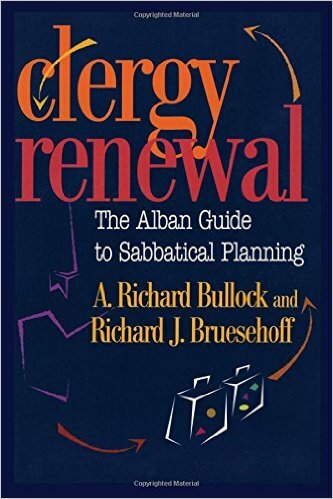 Below are excerpts taken from Clergy Renewal: The Alban Guide to Sabbatical Planning by A. Richard Bullock and Richard J. Bruesehoff. Sabbatical leave is an important part of maintaining one’s focus, commitment, passion, and skill for ministry. It used to be that pastors changed churches more often and used this opportunity to retool and refocus their skills and spirit in a new congregation. But in mainline congregations today, the average tenure is more than twelve years, which makes sabbaticals vital to the renewing of clerical and lay leadership, strengthening them for another four to six years in the congregation. Situations differ, but the reality is the same. We all reach points at which we must get off the treadmill for a while and renew vision and hope, nourish the soul and rebuild the body. A sabbatical encourages us to step off the treadmill long enough to change old habits with “holy hope.” We can be renewed in vision and hope and connect with the roots of our soul and God. A sabbatical is more than just a vacation, a chance to recharge our batteries for another year or two. David Ellingson describes sabbatical as “a time to relearn and rehearse that critical capacity to reflect, which transforms dreams of vacation to new visions of vocation.” “Just like the soil,” he writes, “we humans need a sabbatical, a time to lie fallow. We require a time to receive rather than give, to get input rather than give output, to carefully nurture and cultivate our lives so that the soil of our spirits might be rid of weeds and have an opportunity to receive nourishment.” A sabbatical is a life – and soul-changing time – a time when perspective and the Holy Spirit can come together. The renewal of the clergy and staff’s soul provides opportunity for renewing the congregation, as well. Whether a small, family-sized church with 40 to 50 members in attendance on Sunday or a corporate-sized church with more than 350 in attendance, ministry happens in more ways than those directly involving the clergy and lay leadership. Often sabbaticals expand lay leadership involvement and energy in the congregation’s mission, vision, and goals. As a result, new energy arises in the congregation. Lay ministry and leadership are able to emerge in more new and creative ways, for one of the blessings of sabbaticals is that they force clergy and lay leadership to rethink how ministry is done while they are gone. 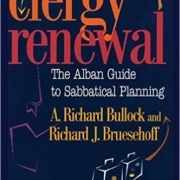 For clergy and congregations, going on sabbatical means seeing differently, looking within themselves to challenge one another to “go on sabbatical.” At first, it may seem as though the experience benefits only the leader who leaves for sabbatical, but the benefits to the congregation should not be overlooked. More and more congregations are being transformed by practicing ministry and doing so with their eyes turned toward the world. This understanding of ministry requires the constant renewal of vision and passion in all those who lead a congregation. Healthy, committed leadership at all levels in a congregation, both lay and clergy, is at the heart of all ministry. https://www.unitytustin.org/wp-content/uploads/2017/01/Clergy-Renewal.jpg 499 333 admin https://www.unitytustin.org/wp-content/uploads/2015/10/unity-logo.png admin2017-01-16 14:07:142017-01-16 14:07:14What is a Sabbatical?